Happy New Year! 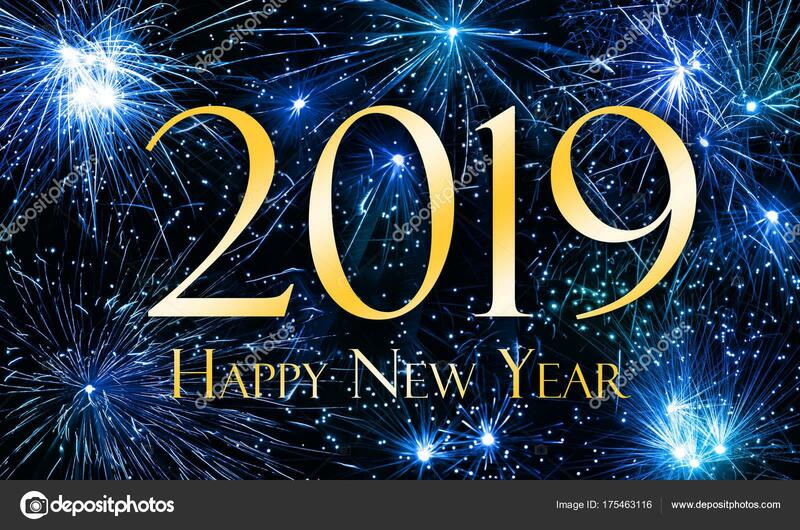 Irene and I want to take this opportunity to wish each and every one of you the very best in 2019. This has been an exceptional year for us, and that is thanks to you. You have welcomed us to your clubs, shared stories and ideas, laughed and generally made us feel at home wherever we went. It really has been an incredible year. And now we have 2019 to look forward to. It has been exciting to see and experience some of the projects that you have been working so hard on. Some of these endeavours are new and some have become signature events for your clubs. Many clubs are inviting new and young members and challenging yourselves to make extraordinary changes that none of us saw coming a few short years ago. With the New Year, club members need to ask ourselves more searching questions. Should we continue with those projects that we have been doing for years? Can we take a critical look at new ways to serve our communities and the world? This is our chance…why not ask ourselves what we would like to have our clubs look like in this coming year and who do we want to serve to enable lives to be changed for the better? The District has specifically focused our training on the creation of irresistible clubs. We have explored resiliency, agility and vibrancy as measures of club health. In 2019 we intend to continue to build on this during our TLC sessions. I would encourage your club to revisit the work you have done in this area with your executive and to establish this “New Year’s Resolution”, to critically review where your club is with respect to these categories. It will provide a valuable benchmark as you move forward. Again, may we face 2019 with a sense of purpose and optimism, that we can make our Rotary world better through our inspired acts of “Service Above Self”. Exciting Times at Clarenville Club! The Rotary Club of Clarenville has a lot to celebrate this holiday season! Not only have they had a very strong year with many successful community projects and a great online auction fundraiser, they have also created long lasting and impactful partnerships with other groups in their community, such as the Girl Guides. Most recently a major partnership with the Kiwanis club has not only brought the local music festival into the fold of the Rotary Club's projects but has also brought an influx of new members to their club. The Rotary Club of Clarenville began the Rotary year with 12 members and at their recent Christmas Social (December 10) they inducted three of the eleven new members to be added this year. This is a strong club with a welcome presence in their community; a small club with a huge impact! Rotarian Dean Halleran and his wife Debbie invited club members into their home on December 10th for a lovely potluck dinner. AG Leanne Whelan and District Membership Chair, Gail Gosse attended the event where President Joe Twyne welcomed Jennifer Barrett, Kim Greenland, and Sarah Small to the Rotary Club of Clarenville. As is typical of this group of Rotarians, they all went out of their way to welcome Gail, Leanne, and their newest members. The ceremony was the highlight of the evening and a wonderful time was had by all! Congratulations to all the members of the Rotary Club of Clarenville! 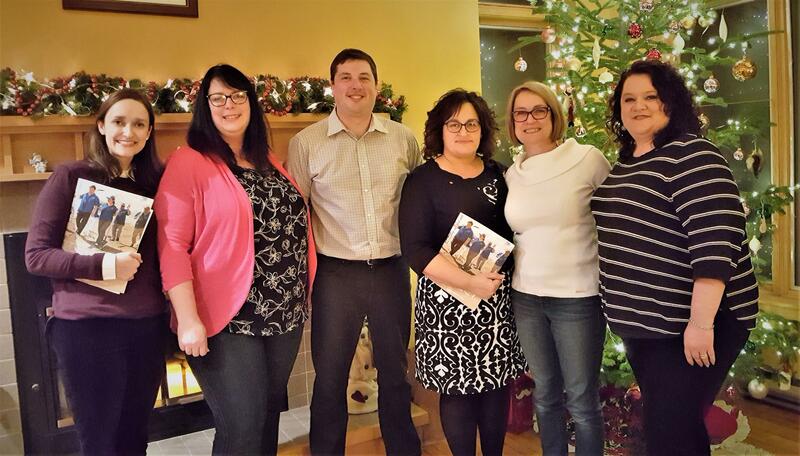 In the photo we have (L to R): Sarah Small (new member, and daughter of Rotarian Will Small, of the St. John’s Northwest Club), AG Leanne Whalen, President Joe Twyne, Jennifer Barrett (new member), District Membership Chair Gail Gosse, and Kim Greenland (new member). 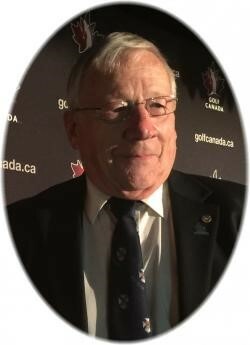 Last year, the president of the Rotary Club of Wolfville, John Horton, passed away from cancer. Although John had been a member of the club for only six years, he was very active, already serving as Treasurer, Club Service Director, and Vice President. During the short time between his diagnosis and death, he received numerous blood transfusions in an effort to stabilize his condition, but sadly, John passed away on June 9, 2017. The Club’s regard for John’s contributions was very high, and they honoured him with a Paul Harris Fellowship posthumously last December. In memory of John, the Rotary Club of Wolfville would like to stage a friendly blood drive competition between Rotary Clubs in District 7820. This yearly event will be held in cooperation with the Canadian Blood Service’s ‘Partners for Life’ program, and its intent is to increase blood donations to the Canadian Blood Service. The club with the largest per capita number of donations in each calendar year will win the competition, and thereby receive $1000 from the Rotary Club of Wolfville to be spent on the charity of their choice. The per capita calculation will be based on the number of members in each participating club on January 1 of each year, so clubs that recruit new members who donate blood will have an edge on the competition. To stage such an event, each Rotary club will require a coordinator (termed ‘champion’ by the Partners for Life program) to register their club online in the blood drive, to assist members to also register in the program, and to coordinate member blood donations throughout the year. This can be done by merely encouraging members to donate at regularly scheduled blood drives in their area (scheduled and facilitated by the Canadian Blood Service). The Partners for Life program will keep track of donations made by each Rotarian and tally these donations per Rotary Club. Results can be viewed online on the www.blood.ca website during the year, so you can see how your club is doing relative to other clubs in District 7820. Should a member be unable to donate blood for any reason, to ensure fairness, the member will be allowed to designate a friend or family member to donate in their stead. This designate will register just like any Rotarian in the Partners for Life program and attach themselves to the appropriate Rotary Club. Their intent is to have the first blood drive competition starting in January, 2019, so please register as soon as possible. November 28 was a red letter day for Rotary St. John’s East member Kristina Ennis. 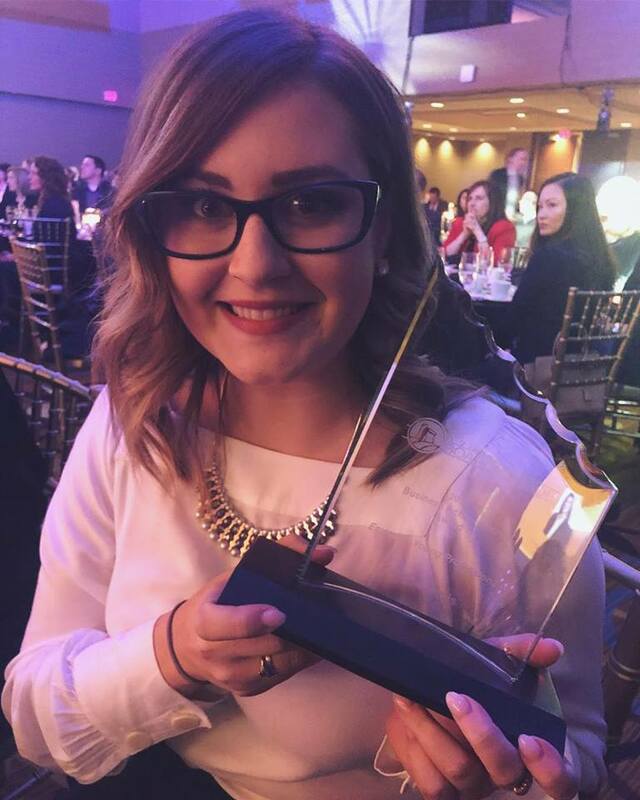 On that day, she was named the first ever recipient of the St. John’s Board of Trade Emerging Young Professional award, sponsored by RBC, at the Board’s 2018 Business Excellence Awards. We’re very excited too, as Kristina will be joining the District board in July 2019. We look forward to seeing much more from this young Rotarian in years to come! In Spain, it is customary to eat 12 grapes – one at each stroke of the clock at midnight on New Year’s Eve. Each grape represents good luck for one month of the coming year. In bigger cities like Madrid and Barcelona, people gather in main squares to eat their grapes together and pass around bottles of cava. In hopes of a travel-filled new year, residents of Colombia carry empty suitcases around the block. Maybe they’re dreaming of attending the RI conference in Hamburg next June! Residents of Denmark greet the New Year by throwing old plates and glasses against the doors of family and friends to banish bad spirits. They also stand on chairs and jump off of them together at midnight to “leap” into January in hopes of good luck. In Finland, people predict the coming year by casting molten tin into a container of water, then interpreting the shape the metal takes after hardening. A heart or ring means a wedding, while a ship predicts travel and a pig declares there will be plenty of food. To drive off evil spirits for a fresh New Year’s start, it is tradition to burn effigies (muñecos) of well-known people such as television characters and political figures in Panama. The effigies are meant to represent the old year. During Scotland’s New Year’s Eve celebration of Hogmanay, “first-footing” is practiced across the country. The first person who crosses a threshold of a home in the New Year should carry a gift for luck. Scots also hold bonfire ceremonies where people parade while swinging giant fireballs on poles, supposedly symbols of the sun, to purify the coming year. You’ll find round shapes all over the Philippines on New Year’s Eve as representatives of coins to symbolize prosperity in the coming year. Many families display piles of fruit on their dining tables and some eat exactly 12 round fruits (grapes being the most common) at midnight. Many also wear polka dots for luck. In Brazil, as well as other Central and South America countries like Ecuador, Bolivia, and Venezuela, it is thought to be lucky to wear special underwear on New Year’s Eve. The most popular colors are red, thought to bring love in the New Year, and yellow, thought to bring money. An onion is traditionally hung on the front door of homes on New Year’s Even in Greece as a symbol of rebirth in the New Year. On New Year’s Day, parents wake their children by tapping them on the head with the onion. Vocational Service calls on us to empower others by using our unique skills and expertise to address community needs and help others discover new professional opportunities and interests. January is Rotary’s Vocational Service Month, a great time to leverage vocational service in your club projects and activities. Host a club meeting at your work place and share about your profession; take time to learn about fellow members’ occupations. Use your skills and expertise to serve a community. Practice your profession with integrity, and inspire others to behave ethically through your words and actions. Work with local businesses to create mentorship, internship, or practicum opportunities to help young people achieve their career goals. Members from the Rotary Club of Melbourne Park in Australia come from a variety of vocational backgrounds. Not only do they utilize their skills within the club, but they also have something to offer to a wider audience. They started the ‘Rotary Skillshare’ series with their Past President Jason Reynolds, who owns a financial advisory business and offered to conduct a series of presentations designed to help club members make smart choices when confronted with financial decisions. The club hopes to continue the series, highlighting a different club member’s profession to learn from their expertise. The Rotary Club of Kakuri-Kaduna in Nigeria organized a career guidance and entrepreneur workshop for students from their local secondary school. Students were surveyed beforehand for insight on their future career goals. Various speakers from different walks of life met with students to discuss their future plans. 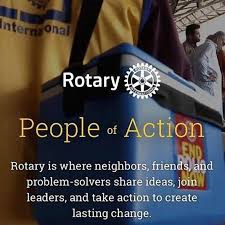 The Front Royal Rotary Club in the United States partners with the local Chamber of Commerce to put together an ethics workshop for high school seniors in which they are presented seven ethical dilemmas and have to determine the best route to solve each of issue. The Rotary Club of Bangalore Vijayanagar in India started a vocational training center offering computer training and tailored classes to help low income and unemployed men and women gain skills to become independent and self-sufficient. The more than 90 members of the Rotary Club of Charlottetown actively support youth programs in their community and across the world. They recently made a generous donation to the Mikinduri Children of Hope and partner with the Sierra Club to support the Wild Child Forest School. Thank you for making the Rotaract Club of UPEI a reality! 75 years young and still going strong! Without a doubt, the Rotary Club of Summerside has made a huge and positive impact on the community through the construction of the Inspire Learning Centre. While having fun, proceeds from the Fitzgerald Snow Golf Classic support the Prince County Hospital Foundation. Recognizing the value of investing in the future, the club gives out 7 scholarships annually. The Queen Elizabeth Hospital Foundation is financially better off through the extremely generous donation made by the Rotary Club of Charlottetown Royalty. The club recognizes the value of investing in youth through the creative writing awards given out to deserving students as well as being actively engaged in the District’s Long Term Youth Exchange program. The Rotary Club of Montague was the first club in the District to be involved with the Toonie program and they have watched in amazement to see the fundraising start from humble beginnings to the incredibly successful program it is today. This has enabled the club to support many, many community initiatives. The club is committed to seeing great work done internationally in such poverty stricken countries such as Nepal. The Rotarians of the Rotary Club of Hillsborough have come up with a unique way to beautify their community through the creation of corner flowerbeds. They are also active supporters of our District’s Youth Exchange program where Solvej Kaagaard, from Denmark was welcomed and Annie Kitson went off to Germany.